Fun that stretches for kilometers on end! The Véloroute des Bleuets circuit encircles Lac Saint-Jean for 256 kilometers, crosses 15 municipalities and the Montagnais com- munity of Mashteuiatsh. The Parc national de la Pointe-Taillon and picturesque municipalities located along the country roads can be reached from this loop. It connects many points of interest, overlooking Lac Saint-Jean’s tributary rivers, besides a connection to Saguenay through an associate network. The circuit offers multiple occasions for dining, camping, hotel and bed & breakfast stays. Lac Saint-Jean is so immense that the opposite banks are only visible when the skies are exceptionally clear. With a surface area of over 1000 sq km and besides being the largest inhabited lake in the province, it’s classified among the 10 largest lakes in Québec. Lac Saint-Jean offers a multitude of monumental landscapes due to the banks that stretch along 210 km. A genuine seaside resort, Lac Saint-Jean invites you to swim in its warm waters and relax in the sun on the luxurious sandy beaches. Yvan ­Martineau: Hello everyone, lovers and future visitors to the Véloroute des Bleuets! I hereby want to welcome Audrey Lemieux, who is joining me as a Media Ambassador for this circuit, considered by the National Geographic as one of the ten most beautiful ones worldwide! Audrey­ Lemieux: Hello everybody! I’m happy to join the team and become an ambassador myself, which was a no-brainer really, being a native of Lac Saint-Jean and still profoundly attached to it. Having traveled all over the world for my competitions, I always come back to my roots thinking that the Véloroute des Bleuets is one of the most beautiful places I’ve ever seen! Yvan­ Martineau: Indeed, the sights being highlighted by the Véloroute des Bleuets are simply splendid. I’ve often praised the exceptional warmth of the citizens, be it shopkeepers, hostel managers or volunteering ambassadors cycling the route making sure we are experiencing a unique adventure. Audrey ­Lemieux: I would gladly add the majestic landscapes along the Véloroute des Bleuets with stunning scenery, along the bicycle path and the safe designated pavement along the banks of this magnificent lake, altogether contributing to pleasant and memorable holidays! Yvan ­Martineau: Every year I cycle with the Hydro-Quebec tour and you wouldn’t believe the reactions of newcomers to the tour when they see those kilometers of sandy beaches, the many bridges across rivers, crossing the Grande Décharge aboard the ferry “Le Maligneau” and the sheer strength of the mighty rivers in Alma or Dolbeau-Mistassini. Audrey ­Lemieux: I would also recommend to slow your speed down while cycling in order to appreciate the numerous opportunities offered by the Véloroute des Bleuets in terms of local goodies. An hedonistic experience to be had through the many breweries, cheese makers and bakeries. Yvan ­Martineau: And that is without mentionning the chocolate makers and ice cream counters! Audrey­ Lemieux­ and ­Yvan­Martineau: We can’t wait to see you again on the Véloroute des Bleuets or meet you during your first stay here! We suggest you should download the mobile app Ondago to help you with all available services and general information. Have ­a ­wonderful­ cycling­s eason­ everyone! The circuit offers multiple occasions for dining, camping, hotel and bed & breakfast stays. 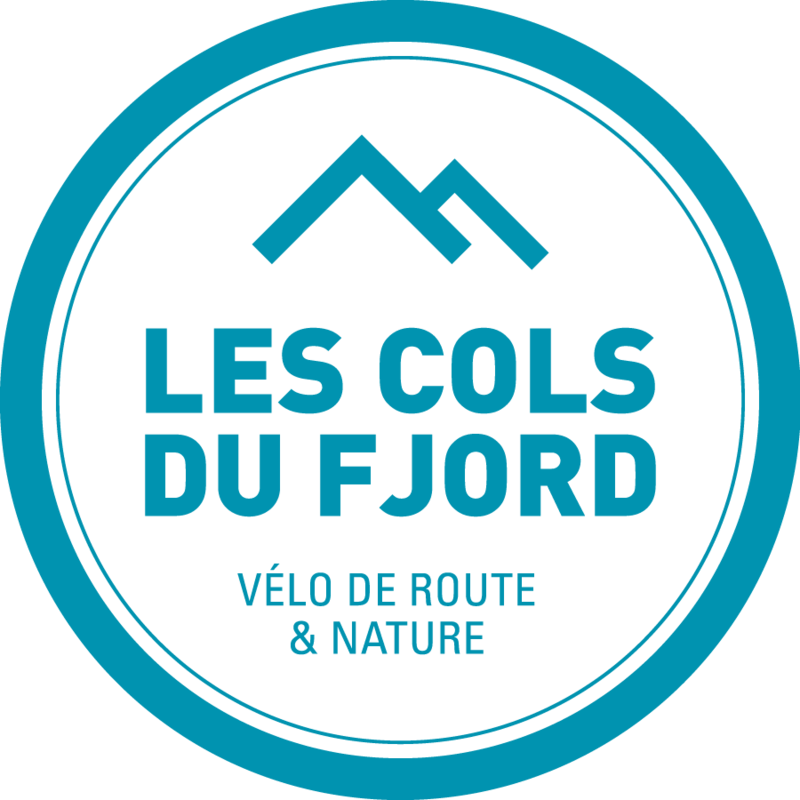 For more information about the Véloroute des Bleuets, visit their website.